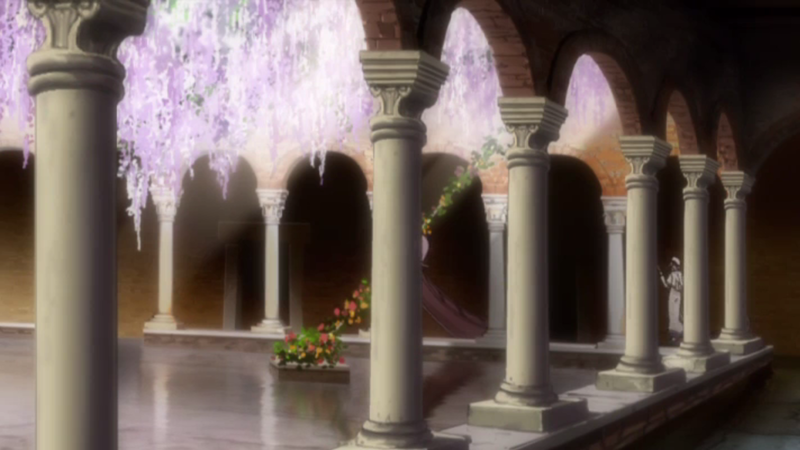 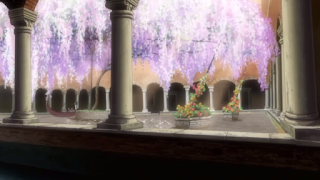 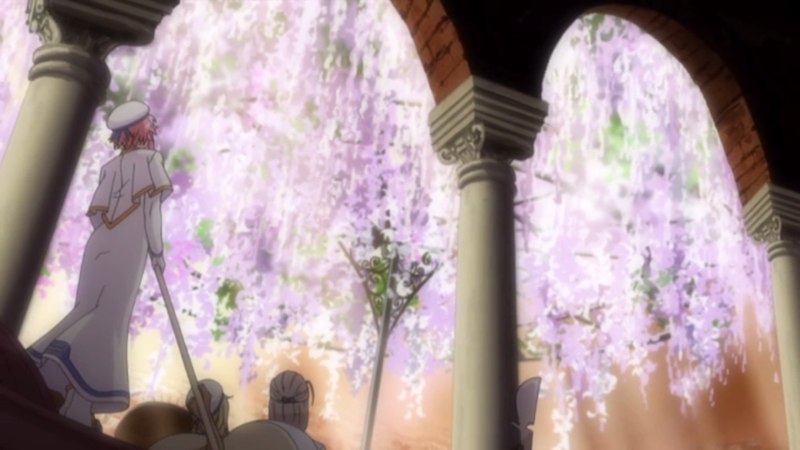 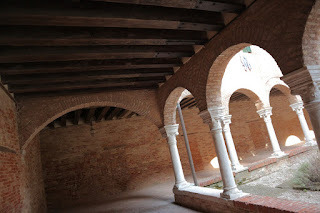 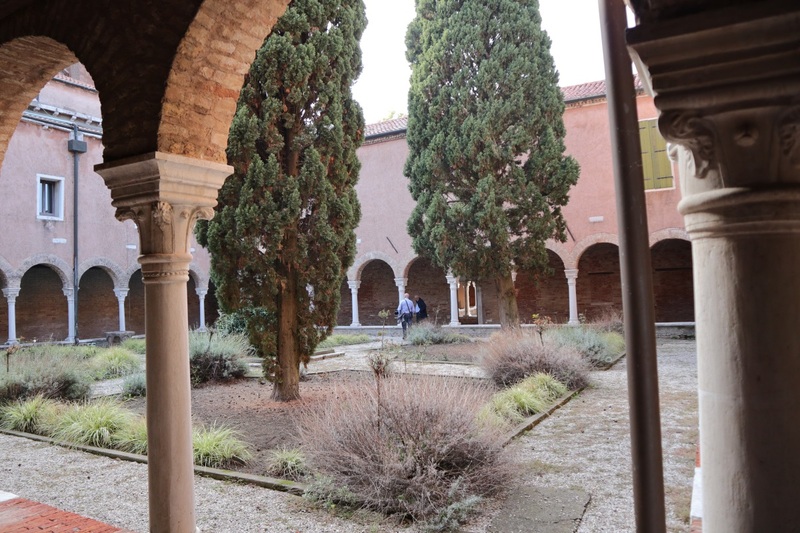 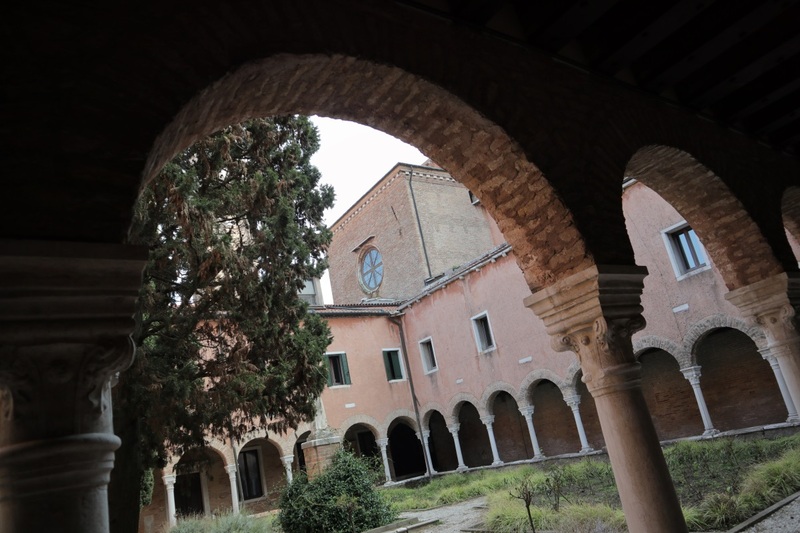 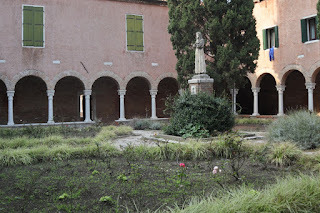 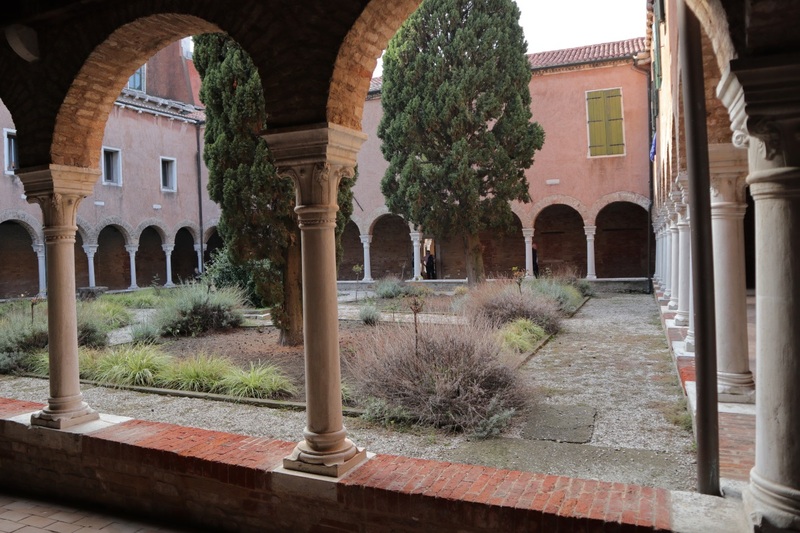 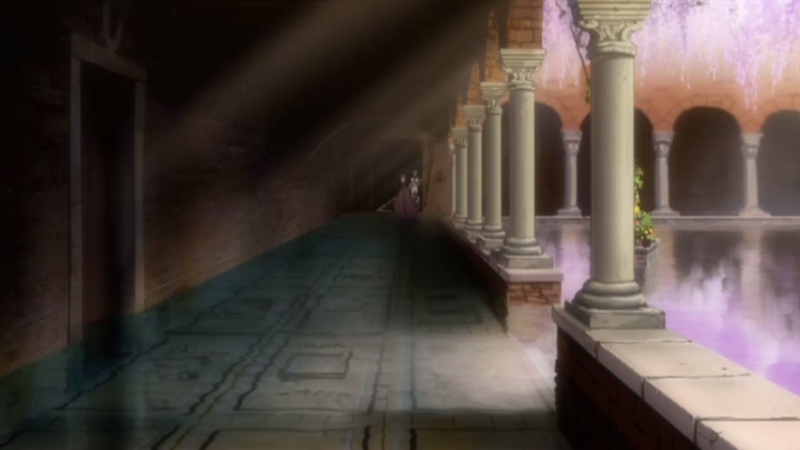 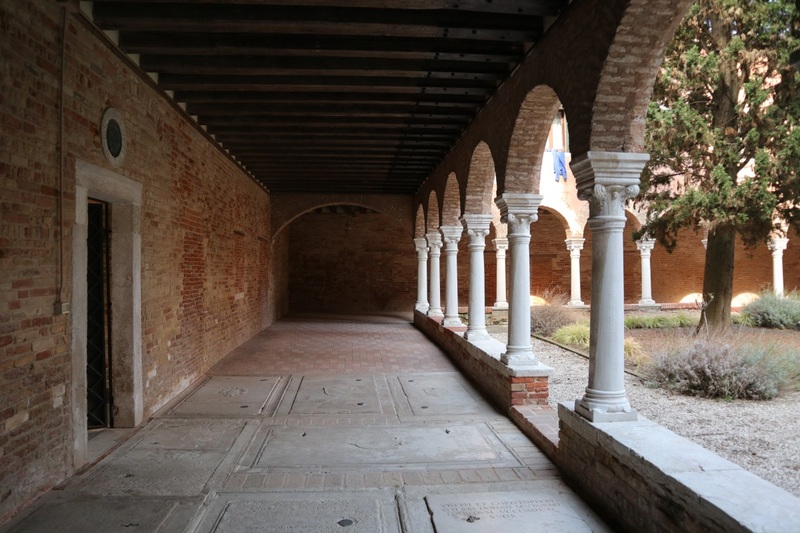 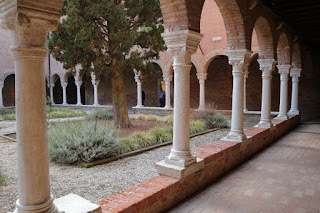 One of the cloisters at the Chiesa di San Francesco della Vigna church is shown in the second episode of Aria the Origination. Akari rows her gondola inside the cloister. 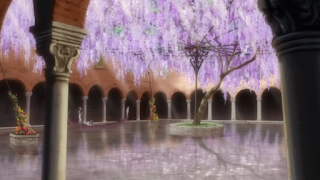 There's no wisteria tree here in real life. 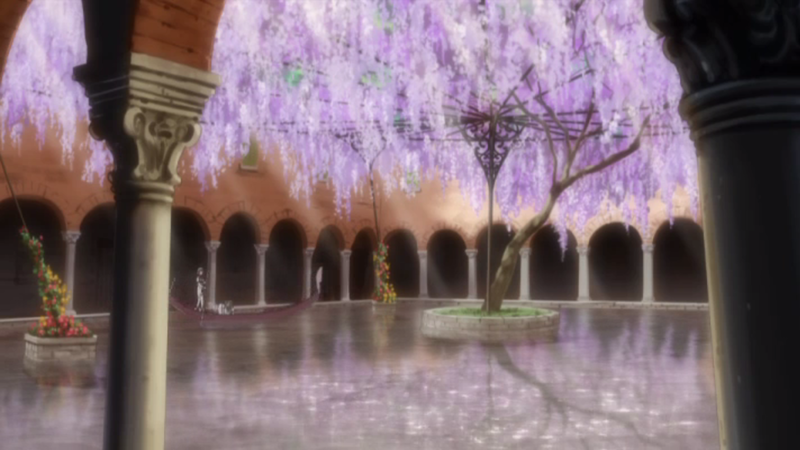 There's some other trees though. 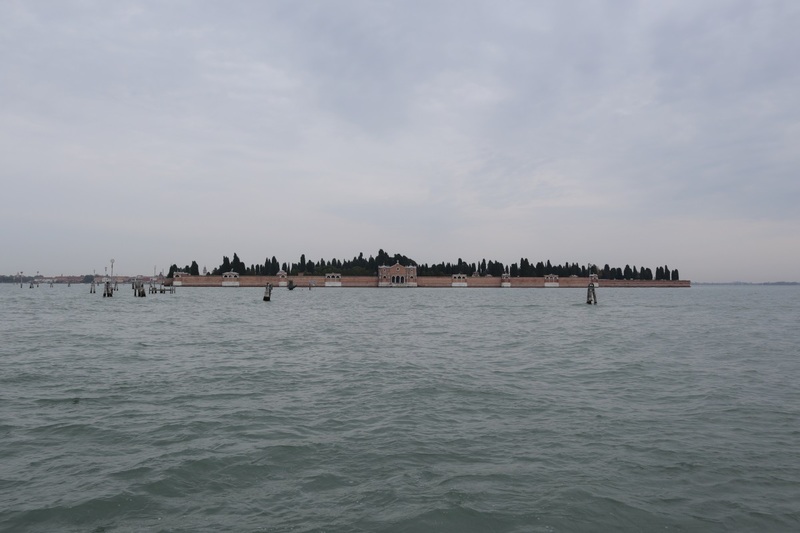 It's not flooded either, so no gondolas here. 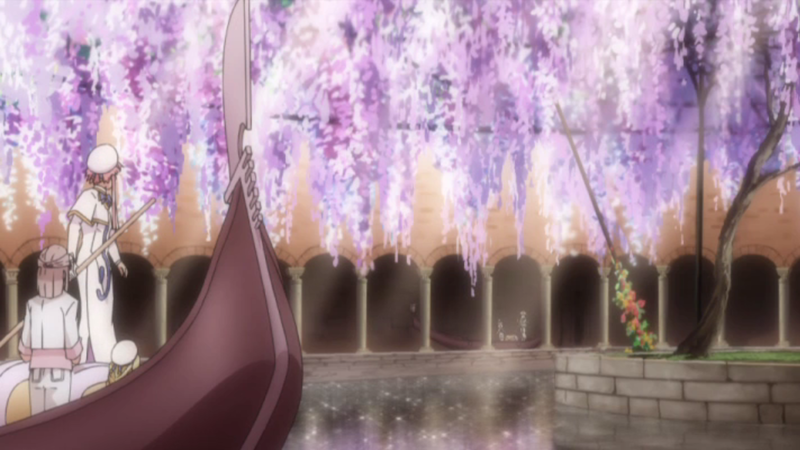 Akari rows up closer to the tree. The door on the left here matches. 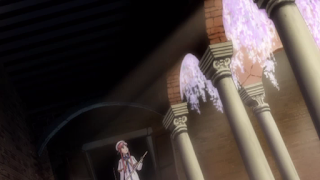 Akari spots Aika and Alice which has followed her. Close to the Chiesa di San Francesco della Vigna you can also see the Isola di San Michele island. 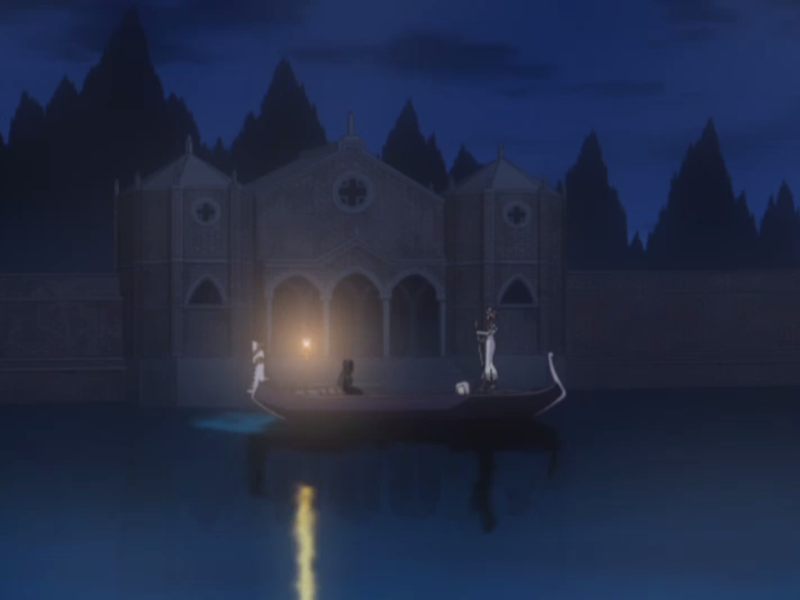 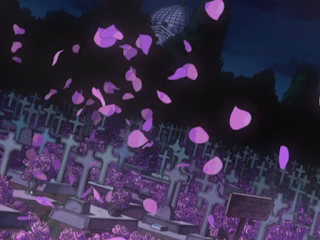 This is where Akari takes the lady in the black dress in Aria the Natural. 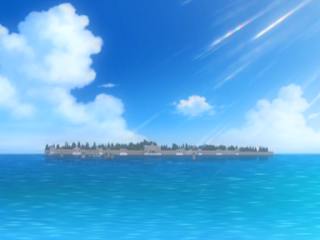 No pictures allowed on the island, but it matches what's seen in the show. 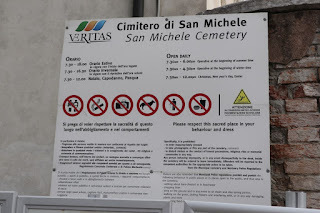 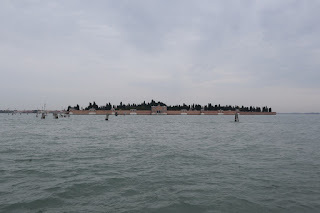 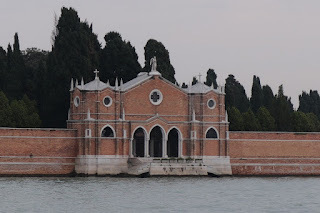 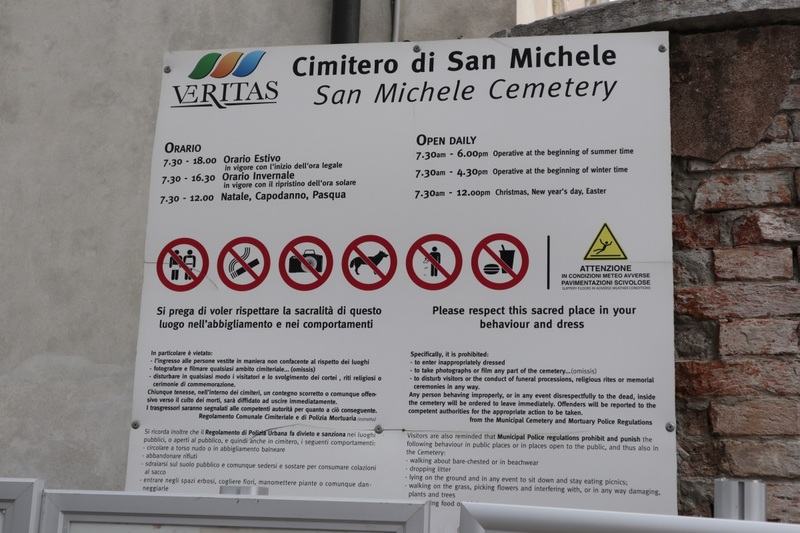 I've marked a path from the Chiesa di San Francesco della Vigna to the water bus terminal where you can both get a picture of the island and take the water bus there as well. 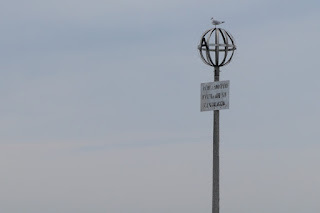 On the way to the island I also saw this signpost in the sea that's similar to one shown in one of the Aria the Origination Picture Dramas. 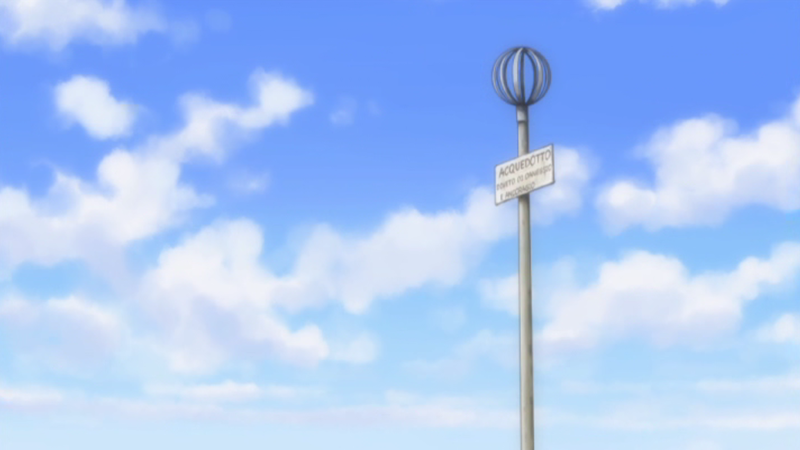 These locations were visited on 2018/10/14 and 2018/10/16.